Did you spot our starring role in BBC Great British Railway Journeys? We were thrilled to have a special visit from BBC Two Great British Railway Journeys back in July, and we are even more excited to share the results of the visit with you all. Our starring role featured in the “Plymouth to Porthcurno” episode, which aired today (Friday 15th January). 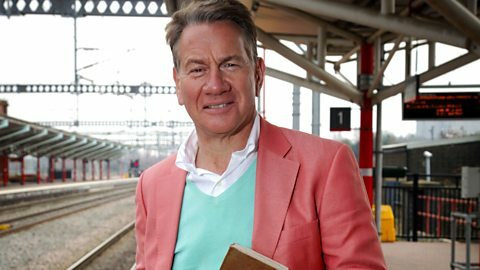 Michael Portillo ended his journey at the Museum, where he discovered how Porthcurno became a hub of global communications during the Victorian times. It was a pleasure sharing Porthcurno’s story with him and witnessing his intrigued at the hidden underground communication network that lies beneath. Michael spent the day uncovering Cornwall’s hidden heritage, and Porthcurno’s communication legacy. During his visit, Michael met Professor Gareth Parry, who provided a snapshot into the treasure trove of stories waiting to be uncovered here. In case you missed it, here is a catch-up link and if you would like to follow in Michael’s footsteps, make sure you pay us a visit.